Last year I posted an entry of My Favorite Latino Blogs and thought I would revisit the topic for 2010. The blogs mentioned in the 2009 post are still great ones so I recommend checking them out if you have not done so already. There are so many incredible Latino blogs out there, but I decided to limit this 2010 post to my top ten favorites. 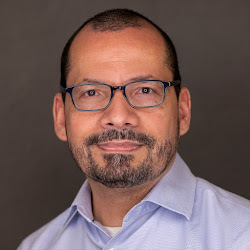 The Blog of Louis Pagan – Louis Pagan’s blog, Latino Rebranded: Social Media and Latinos, keeps up with the latest in industry news and trends. Efrain’s Corner – Efrain Ortiz Jr. shares thoughts, culture, information, and history related to Latinos and the Puerto Rican diaspora. Being Latino – a communication platform designed to educate, entertain and connect all peoples across the global Latino spectrum. Solpersona – Frankie De Soto’s blog studies modern Hispanic marketing and Latino culture. The Adventures of a NYCity Mama – Carol Cain catalogues her personal experiences as she travels, tastes, and discovers all the family-friendly things to do with her three kids in tow. My Feet Only Walk Forward – Brandon Lacy Campos, a gay poet, playwright, journalist, and amateur chef, chronicles his life’s journey with raw rants, raves, musings, and poetry. hisPANIC 2050 – Eric Navaja Cortes, a Colombiano and member of a Latino fraternity, blogs about “us” in the Estados Unidos with a touch of personality. The Jose Vilson – Vilson, an educator, writer, poet, web designer, and activist, blogs about education, politics, and everything in between. Inside My Head… – Latinegro openly and honestly evaluates everything in his life on the road to self redemption. The Sol Within – The thoughts and inspiration of Anna Rodriguez, a wife and mother who finally takes the leap into the writing life she’s always dreamed of. I admire all of the Latino bloggers above. Each has something wonderful to share with the world and I’m sure you will connect with a few if not all. Please also check out the blogs/sites in my link exchange and blog list sections. Feel free to leave a comment below on any of the Latino blogs listed or add one you think would be of interest to me and/or the readers of this blog. Thank you for supporting Latino bloggers. Wow muchas gracias for having me on your list! Hi, Phil. Thank you so much for including me on your list! I feel very honored as I have admired your work, knowledge of all things Latino, and the support you give all of us trying to make a difference. I am honored to be included on this list and thank you for your support throughout the past year. Thanks so much Phil for including me on your list! I'm going to check out the other blogs on the list, and be sure that yours is on my list as well. Thanks for this, Phil. Appreciated. Hi Phil! Thanks for having me on your list among such awesome bloggers/writers. Hope our paths cross again soon. Phil, thought you should consider the Hispanic PR Blog. No one features more stories daily on Hispanic PR and social marketing issues than we do and we're also the organizers of the Hispanic PR & Social Marketing Conference in Dallas, TX, May 10-12.